Old Colony Heating, Air Conditioning & Plumbing is proud to serve the Hull community! 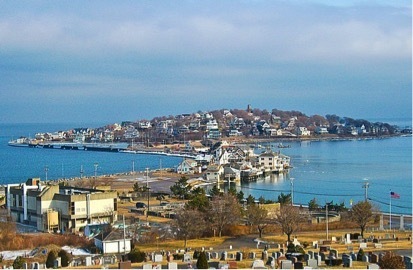 Hull, Massachusetts is a peninsula community with approximately 10,300 people in Plymouth County. Hull is situated on the narrow Nanasket Peninsula, which is found jutting into the Massachusetts Bay with its southern land point found at the entrance of Boston Harbor. Spinnaker Island is also hidden within Hull’s Bay. The town has its own school system that serves about 1,300 students, the oldest of which will complete their education at Hull High School. When passing through Hull, there are several interesting destinations to check out. Visitors who are interested in learning more about the area may want to visit the Hull Lifesaving Museum or the Paragon Carousel and Museum. There are several specialty shops located in Hull, including Johnny Cupcakes, Nantasket Hardware, or Simply Irresistible. Visitors and residents alike may also enjoy visiting one of the area’s most popular restaurants, including Jake’s Seafood Restaurant, Weinberg’s Bakery and Café, and Marvels’ Lunch Box. Whether you are visiting Hull for the weekend or are thinking about relocating to the area, you’ll want to know what to expect in terms of the weather. The summer months tend to be hot and humid, with average high temperatures reaching 80 or higher during July. Due to the high humidity in the area, it is common for it to feel even warmer, so residents will want to have access to a cool place to stay with an energy efficient air conditioning system. The winter months tend to be even more dangerous in terms of weather extremes. Conditions can become cold quite quickly, and snowfall usually begins in December. Some winters see only about 30 inches of snow, while other years have experienced totals exceeding 100 inches. It is easy to see that this precipitation could cause dangerous conditions, so residents are wise to invest in a reliable home furnace system or heat pump.